Why did we build Fllike? We love air-travel, we're frequent flyers but soon discovered no simple way existed to score and share an in-flight experience or explore flights taken by real travellers all over the world. 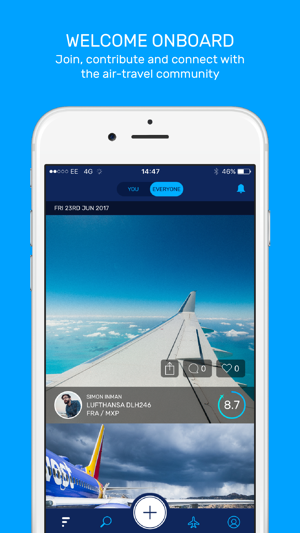 Say hello to Fllike, a beautiful travel app that enables you to score, share and explore the sky, inspire others and connect with other travelers. Over 15 million people fly every day, together let's share the sky. Browse the feed to see daily scores, photos and comments from thousands of travellers around the world, be inspired and contribute to our air-travel community. 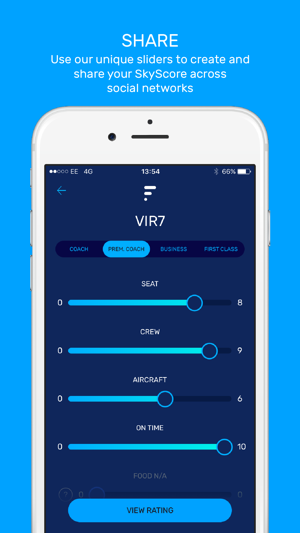 Enter your flight number or scan your boarding pass, then use our unique score sliders to create, save and share your flight experience- SkyScore. Had a great flight let your friends know! Add your photos and share your SkyScore across social media, such as Facebook or Twitter. 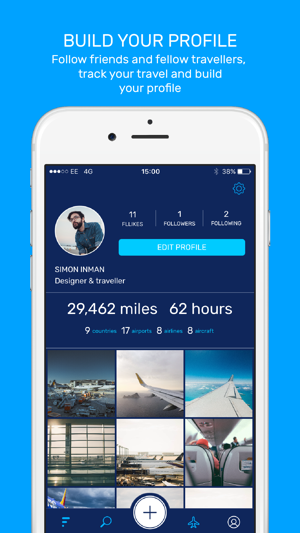 Build your travel profile, keep track of how far you fly, how many airports you’ve visited, follow friends and fellow travellers as they share the sky. Explore and discover new flights and airlines, browse the highest rated, view pictures and connect with other frequent flyers before you book your next flight. Join us onboard, it’s time to share the sky. • Download Fllike App for FREE now! 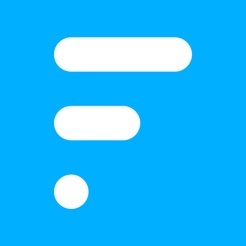 We're a small team, so if you enjoy using Fllike we’d love to hear your feedback either in the App Store or across social media - it makes a big difference to how we can improve the product. Thank you for all the support and to everyone using our app around the world, it’s incredible to see thousands of passengers sharing their in-flight experience – so thank you! You may have seen we were recently featured by the team at Apple in 'New Apps we love' – which was awesome, so hello to all our new friends worldwide! Since then we've been busy working on new updates to make Fllike even more beautiful to use. We have more updates coming soon and along with some exciting travel partnerships! Tweet us @fllikeapp with any feedback or questions you may have! 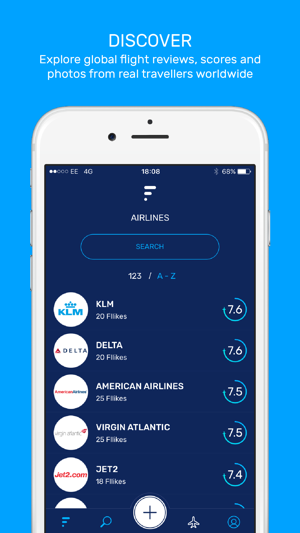 A fantastic app that provides frequent travellers with useful data in their quest to know which airline to book their flight with. I am now hooked on uploading my flight every time I travel. 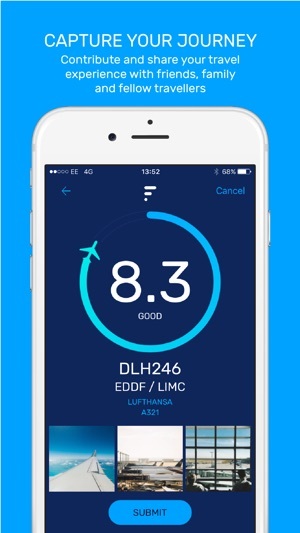 The app is also going to provide valuable data/analysis to the airlines that are continually looking to 'be the best' or improve their offering to their valued clients! Top app!! "How was your flight?" Now I can share this with all my friends and family. It's so easy to rate and share all my flight experiences in this app. The flight industry has needed this for years. Great work.